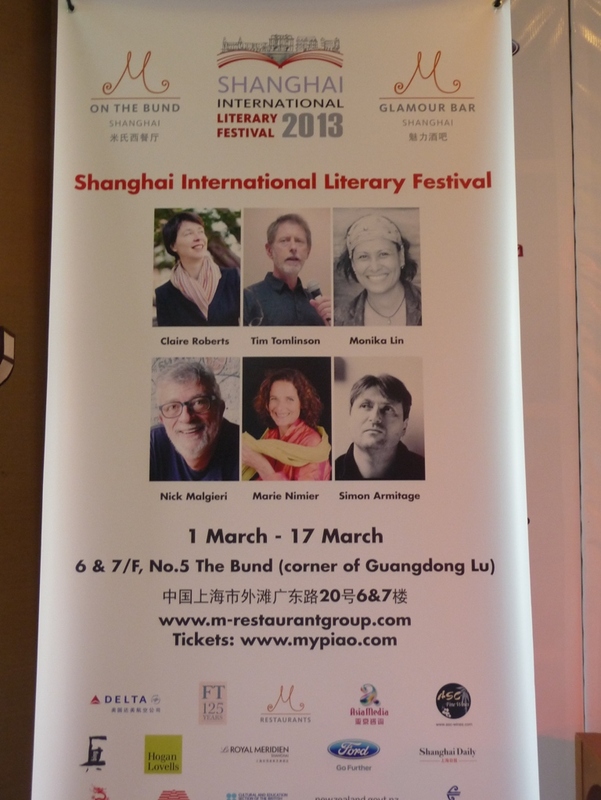 Two years ago I had a quick visit to Shanghai for Michelle Garnaut’s M Literary Festival, an annual event at her M on the Bund restaurant there. Every year Michelle invites authors from all over the world to lecture about their books and sign them. I was eager to have a chance to promote BAKE in Asia so I contacted her friend and publicist Tina Kanagaratnam who deals with inviting authors and making all the arrangements. Both Michelle and Tina were surprised when I told them I wanted to do a demo, but flinging around some pastry doughs seemed to be popular and when I left Michelle asked me to return with my next book and to appear both in Shanghai and at her Capital M restaurant in Beijing. I arrived in Shanghai on a cold, windy Friday morning last month and went straight to the Hotel Indigo, right down the famous Bund from Michelle’s restaurant. A quick lunch, a dizzying series of press interviews kindly arranged by Tina, and I was off attending Michelle’s opening reception for authors and “elves” who are the helpers who keep everything running smoothly. Early the next morning I prepared my focaccia and bread sticks, did the demo, signed my new bread book, and sped to the airport for the flight to Beijing. Arriving in Beijing I made a quick trip from the airport to Capital M to prep for the following morning’s demo. Chef Panos Kalamidas and his bakers helped me enormously. The following day was a blur of the demo, lunch at the restaurant, a much needed nap, and a lavish dinner that Michelle hosted for the authors in town for the weekend. The highlight of Monday was a Peking Duck lunch arranged and hosted by Michelle at Dong Yuen. See the illustration of the front and back of the business card and the translation of the restaurant’s name and address in the captions.